This is my new member. 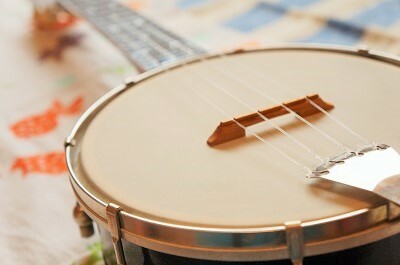 It's a banjo ukulele. This banjo ukulele was made in 1960s. I'm filled with deep emotion when I think that it came to me after many years. A lot of information from a long time ago is in this banjo ukelele. It's so exciting! There are many things it can't do well, because it's old. It's fine if it can't do everything well. It has unique sound that other instruments never have. That is the most important thing. That apllies to other instruments, animals, human beings, and etc. I think that those that has unique colors are so charming even if they are not well received by everyone. Being weird = Being unique = So charming!! Ramune is carbonated soft drink of lemon-flavor in Japan. 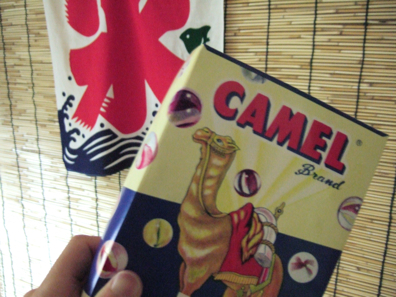 It's one of Japanese summer features. Since 1880's, introduced from Britain for the first time, Ramune has made by many local beverrage companies all over Japan and has grown up as original drink in Japan. It has been loved by from kids to old people for more 100 years. 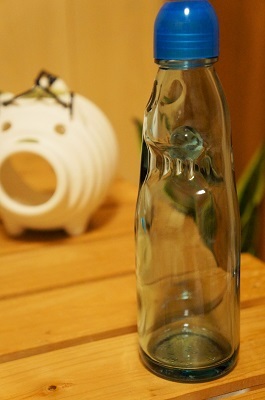 Ramune is widely known for the unique design of its bottle. It's very beautiful and I love it! 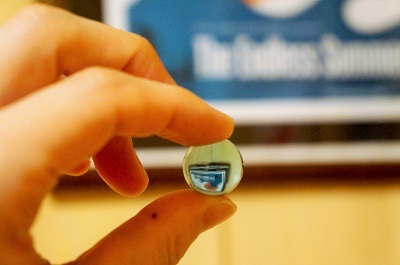 It is made of glass and sealed with a glass marble. To open Ramune you use a special opener provided with the bottle. 1. Place the opener onto the top of the Ramune bottle, and press down firmly with your palm to drop the marble. 2. Keep pressing for about 5 seconds to release the carbonated liquid pressure. 3. Remove the opener from the bottle and drink Ramune! I like to open Ramune. It's fun! You can play with marbles after drinking! 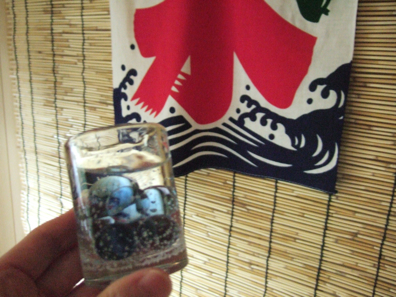 In this video, I'm drinking Ramune. Hope you enjoy it! It's very hot everyday. I hope you will take good care of yourself in this heat. What kind of fragrance do you like? I love lavender fragrance very much. It makes me feel calm even when I'm stressed. I just ran out of lavender scented bath salts. 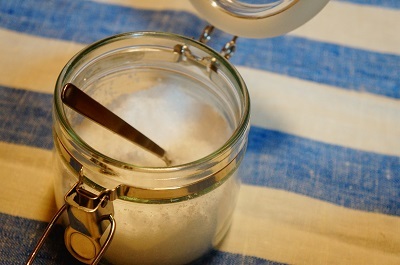 Making scented bath salts is easy. In a mixing bowl, add drops of the essential oil to the salt and mix well. I think it's important to be relaxed even for a short amount of time in a day. If you have a chance, you should try it! Our lives are surrounded by various sounds, colors, smells, and etc. 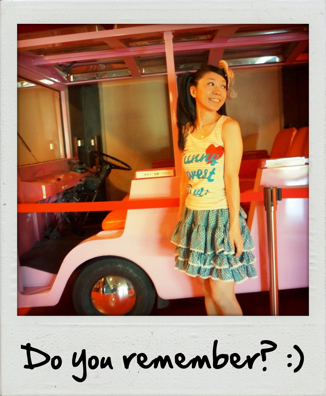 I think there are special things that fill you with warm and nostalgic feelings. As for the sounds, "furin" is that for me. 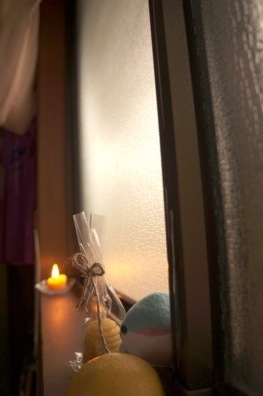 The gentle whisper of furin always makes me relaxed and feel like I'm taking a nap in the warm sunshine. Actually there are many kinds of furin in Japan. Edo furin sounds very soft and beautiful. Whenever I hear that sound, the scene of the Kingyo-uri (goldfish vender) selling goldfish in the city of Edo comes to mind. That Edo furin appears in my latest video. I hope you enjoy its charming sound! Actually various kinds of furin are used in Roconamente's music. The next time you hear the sound of the wind bell, imagine what kind of furin sounds in it. I hope you enjoy the different beautiful tones! It's very cold these days. Stay warm! I have liked glassworks since I was a kid. Whenever I see a beautiful colored glass, it makes me want to take it. I dislay some bottles in my room. I like to see them. That makes me relaxed and happy. Recently I display blue marbles. It looks like Ramune (soda drink) and I like it. When I look at marbles, I feel kind of nostalgic. The box of marbles looks retro. I like it. 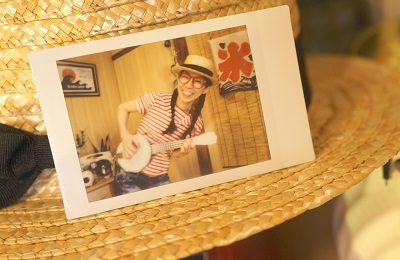 I feel like wearing yukata (summer kimono) and going to summer festival. This song has a nostalgic feel like marbles. Hope you enjoy it. Can you see something in the back?? It's 100％ pure beeswax candle. I heard that beeswax candle cleans the air when it burns, so it's good for allergies and asthma. I have an allergy to pollen. It's good for me! Masato-san is singing "Mint Aji Summer Boy" by Mari Mizutani! 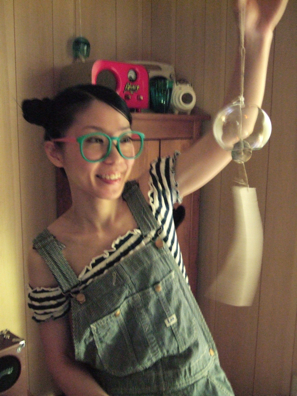 Love Mari Mizutani songs so much!! Yes! Roconamente also covered this song before!